What is something that kids are talking about that they are dying for? Something that grows and you can use in many different things? Orbeez of course! So today, I get to show you the most awesome item with Orbeez, the Ultimate Soothing Spa! The amazing Orbeez Ultimate Soothing Spa comes with a spa (batteries not included), 2,000 orbeez, nail polish, and toe separators! You need to soak the orbeez for 4-6 hours so they are in full size to run through the spa, and then the fun will begin! Oh what amazing fun it was! 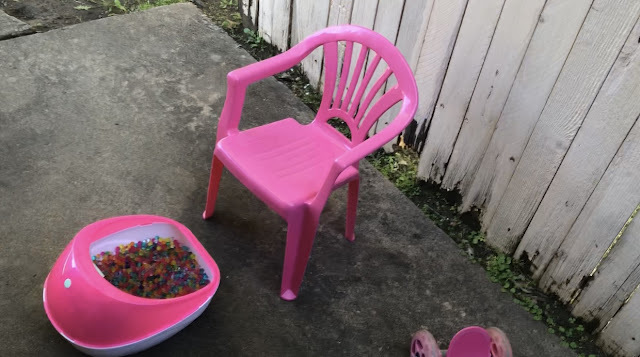 After a few more minutes we came inside and my daughter spent an hour just letting her feet relax in the spa, watching the orbeez just fly through! She adored every moment of it and that was not even the end of all the fun! Afterwards, we noticed the orbeez wouldn't go down after a couple of days of drying out. So my husband put them all inside of some balloons, and now shes get these awesome stress balls! She's used them when she gets frustrated or tired and wants to complain, instead she squeezes her orbeez balls! 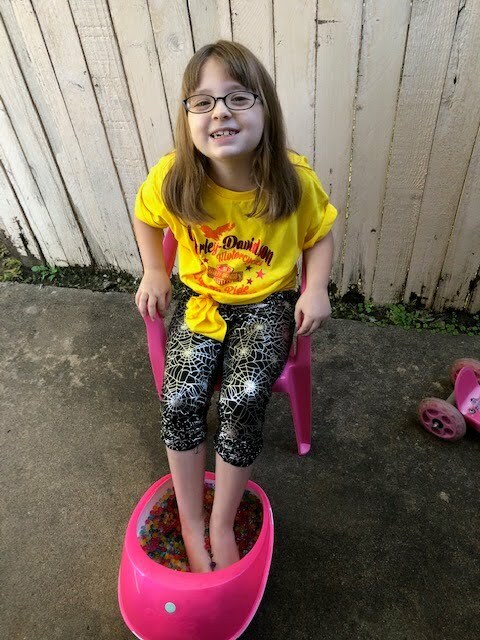 I think the soothing foot spa truly is easy for parents to keep clean with a built in strainer, keeping the water and orbeez easily separated when it comes time for cleaning. Then you just wipe it out and done! We loved watching all the colors shoot through the spa, and my daughter continues to wiggle her toes in the orbeez! You can find your own Ultimate Soothing Foot Spa here for $34.99. They also are available at Walmart, and other stores in your local area! These are definitely a must have for any girl for pampering for Christmas! Make sure to tell Santa right away, so he can bring it for her you little girl! !